Whether or not you believe in genetic pre-disposition, Marty Noble couldn’t help but be exposed to art from an early age. All four of her grandparents attended art school together in the ’20s, and her mother was also an accomplished artist. Both her mother, Helen Noble, and her maternal grandfather, George C Harper, are recognized in American Artist’s Who’s Who. In grade school I decided that I would be an artist and make my living in that way. Marty granted us an interview so we could learn about her art and her process. Marty: I had a collection of angel illustrations I had rendered for HJ Kramer Publishing (1993) and decided to submit these drawings to Dover Publications with the idea of creating a coloring book for them. This began a working relationship with Dover that led to many more coloring book assignments. Marty: I have been drawing since preschool. In grade school I decided that I would be an artist and make my living in that way. Marty: I prefer pen and paper for the initial design work. I use various art programs on the computer to achieve different kinds of results with the line work I have scanned. Marty: Between 1970 and 1993 I worked on silk with dye and wax resist, creating very detailed designs of mostly ethnic subjects that I sold through galleries and art shows. When I began working with publishers of greeting cards, puzzles, calendars, plates and other media, I switched to working in watercolor as it made for a better reproduction. Marty: I rarely have time to sit down and relax with a coloring book! I have many favorite artists, not necessarily coloring book artists. 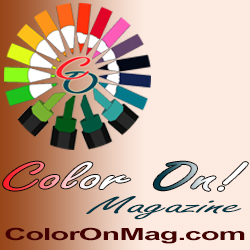 Marty: My palette changes with different projects. In the past when I was creating for myself on fabric, my palette leaned toward cool muted colors: Mauve, pale blues and purples, mint green and soft neutral colors. Since going full time into illustration (watercolor and colored in Photoshop) my colors have brightened considerably. I now enjoy working with a more intense palette in general. Marty: Ethnic peoples have always been a favorite subject matter and a passion. My appetite for other cultures grew as I traveled in my early 20’s to Mexico, Guatemala, Europe, Israel and Egypt. The beauty I discovered in these areas inspired the early batik paintings and later watercolor. I did a series of watercolor paintings for the Franklin Mint of Asian women in garden settings. These were made into limited edition plates. More recently I have traveled to Thailand and Vietnam. Marty: I enjoy traveling, gardening, swimming, hiking, spending time with family and friends and quiet time at home. Marty: Before going into illustration work, I had the good fortune of being able to sell most of my paintings to loyal collectors in the area of southern California where I live. The community was very supportive and I thrived and grew as an artist. William Hurt, the actor, commissioned several paintings with Asian themes. Marty: To have the ability to fly and transport myself to any location I desired! Marty: Like many artists, I have always been inspired by the perfection of nature in all it’s manifestations. I am also inspired by the great variety of cultures around the globe. Endless inspiration!! Marty has too many coloring books to list individually! 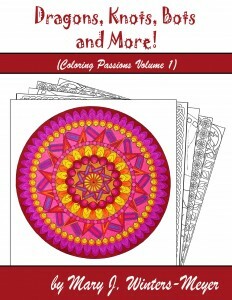 The titles below are links to reviews of her books here on Coloring Books for Adults. 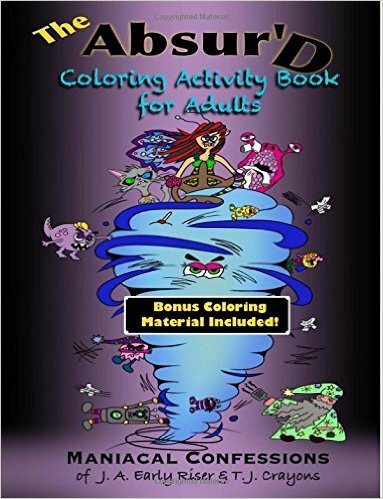 To see her complete list of coloring books, this link takes you to her search results on Amazon – yes there really are over five hundred results!